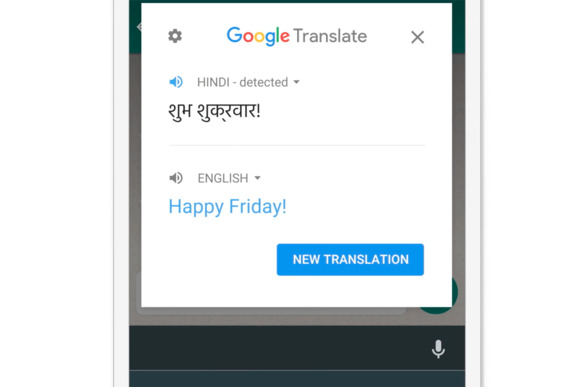 Android users can now get text translated in any app on their phone thanks to an update to Google Translate released Wednesday. The app now has a new Tap to Translate feature that lets people select text in one language, copy it, and with the tap of a button, see it in another language. 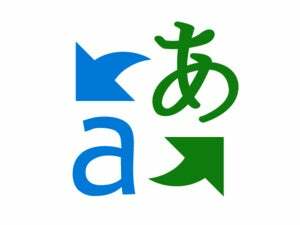 It's designed to make it easier for folks to quickly get translations without having to go through a whole process of switching apps and pasting the text into Google Translate. The new feature works with all of the 130 languages supported by Google's translation service, and it works inside any application on a phone or tablet running Jellybean or a newer version of Android. Google has also improved Translate's offline mode, making it easier to download language packs that you can use when your phone is without an Internet connection. While Translate previously had an offline mode, you had to download big files hundreds of megabytes in size. Those files now weigh in at around 25MB, or 90 percent smaller than before. Also, the offline mode now works on iOS in addition to Android. On Android, the two features combine to let users translate snippets of text offline using Tap to Translate. In related news, Google's Word Lens feature -- which translates text live through a phone's camera -- now supports both Simplified and Traditional Chinese.